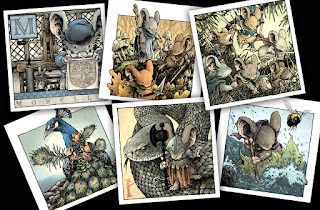 Top L-R: Morello the patron mouse of Printmaking ~ Kenzie, Saxon, & Lieam on a Fall patrol ~ a fierce band of Guardmice. 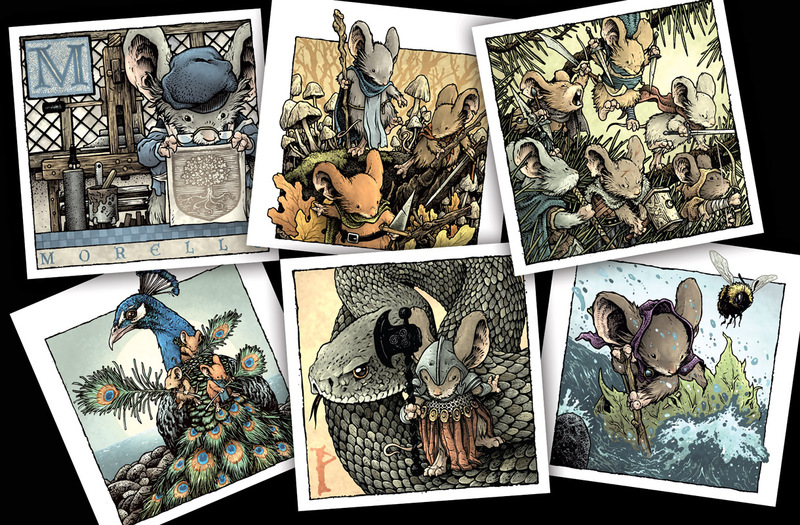 Bottom L-R: Guardmice fanning a peacock with collected feathers ~ The 5th Black Axe ~ Sadie in a leaf boat. 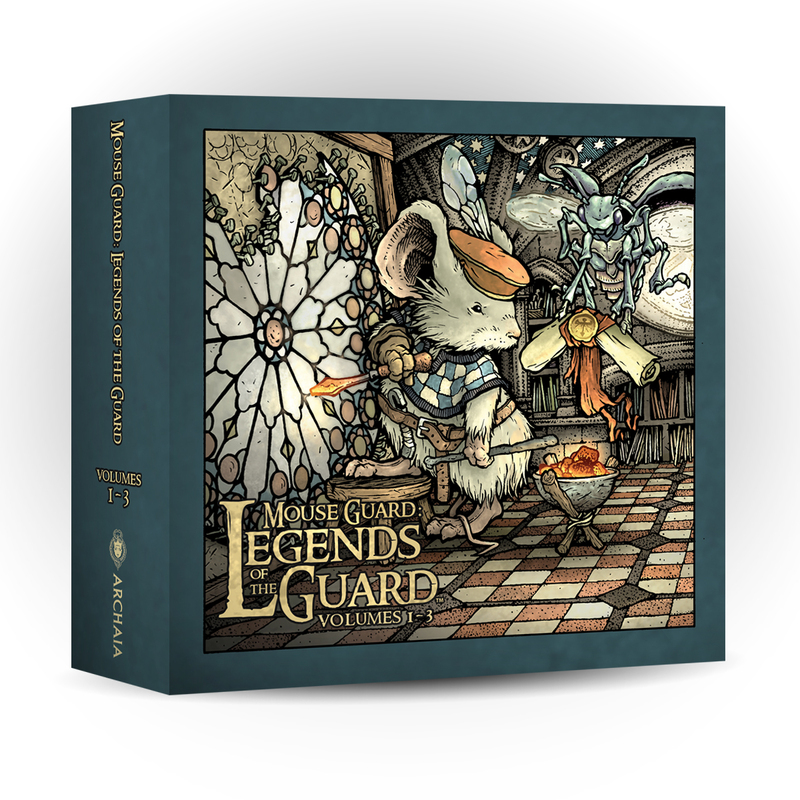 The Timber Mice is a story in Mouse Guard: Legends of the Guard Volume 2. 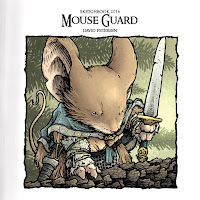 The melody was written by Cliff Monear, the lyrics were mine, and the story was illustrated by Justin Gerard. 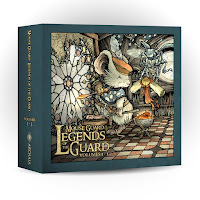 Vocalist, French Horn player, and Mouse Guard fan Kyra Sims recruited accordion player Jordan Shapiro and together they recored a beautiful rendition of 'The Timber Mice' for fans. 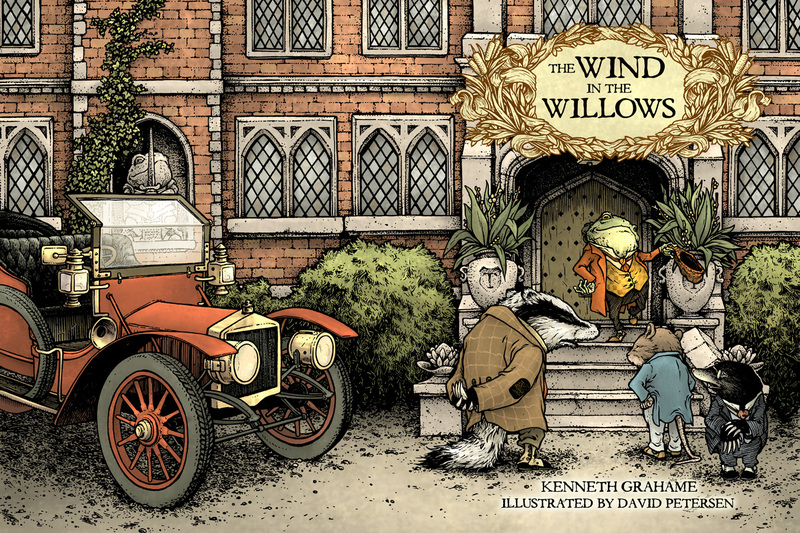 Later this year, IDW will be releasing my illustrated edition of the Kenneth Grahame classic Wind in the Willows. The book will be Grahame's original text, with over 70 illustrations by me. 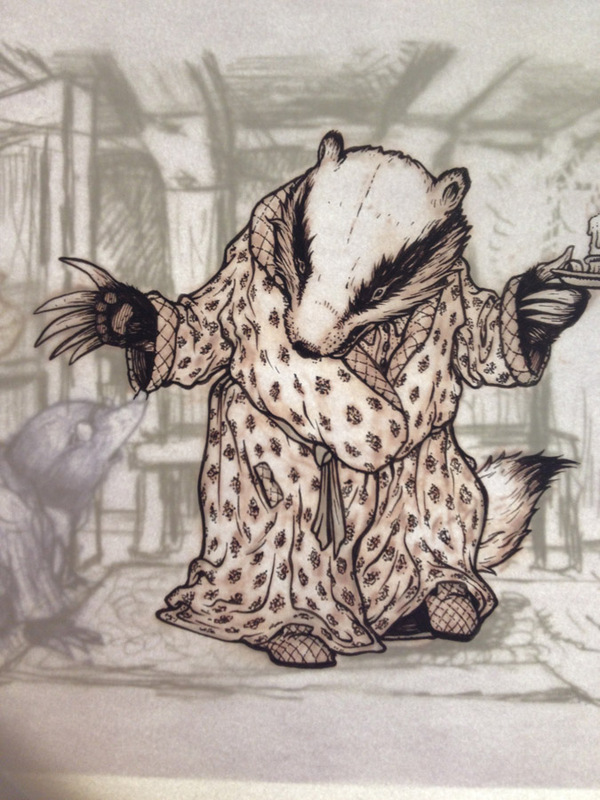 "The Badger, who wore a long dressing-gown, and whose slippers were indeed very down-at-heel, carried a flat candlestick in his paw and had probably on his way to bed when their summons sounded." 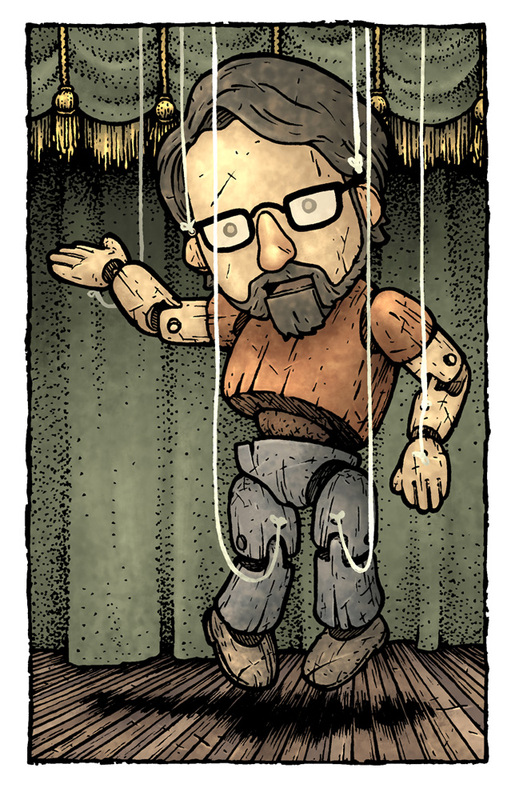 It was very hard to narrow down the moments in the book to choose to illustrate. 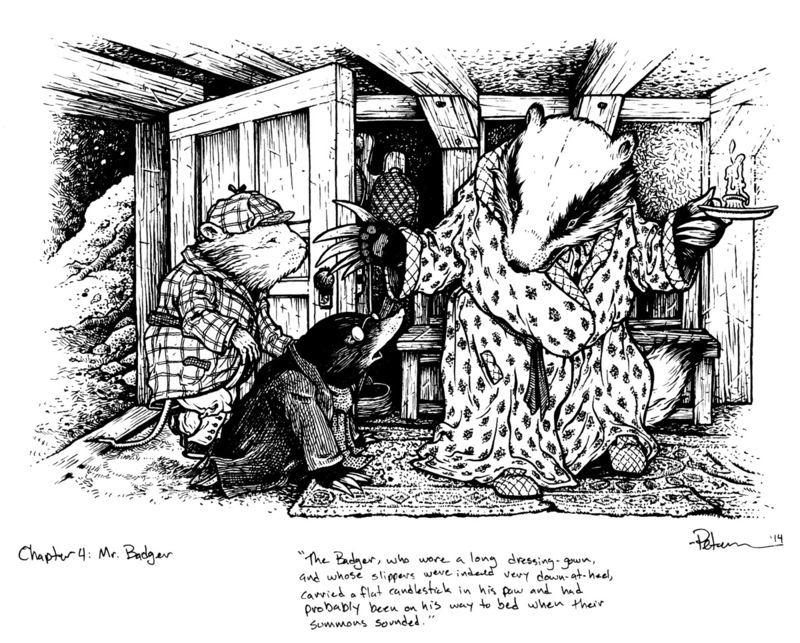 At the start of chapter 4, The character of Badger is revealed to not only the reader, but also to the character Mole. 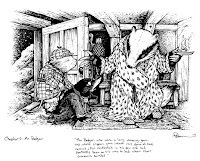 The illustration depicts Rat & Mole tumbling in out of the snow of the Wild Wood and into Badger's front entry way. I drew the characters separately on pieces of copy paper so that I could compose the image together and make adjustments to all of them individually. Once the sketches were scanned, I started assembling a final composition. 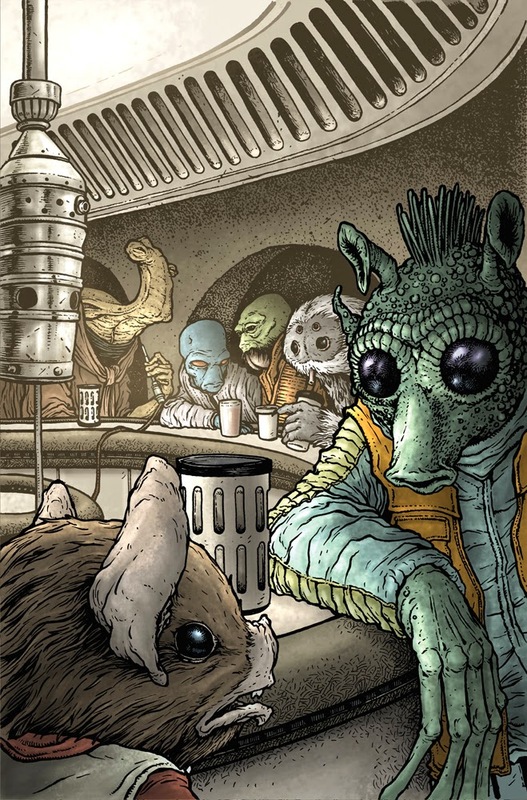 I tinted each character so I could easily see them amongst each other as well as the digitally drawn in background. 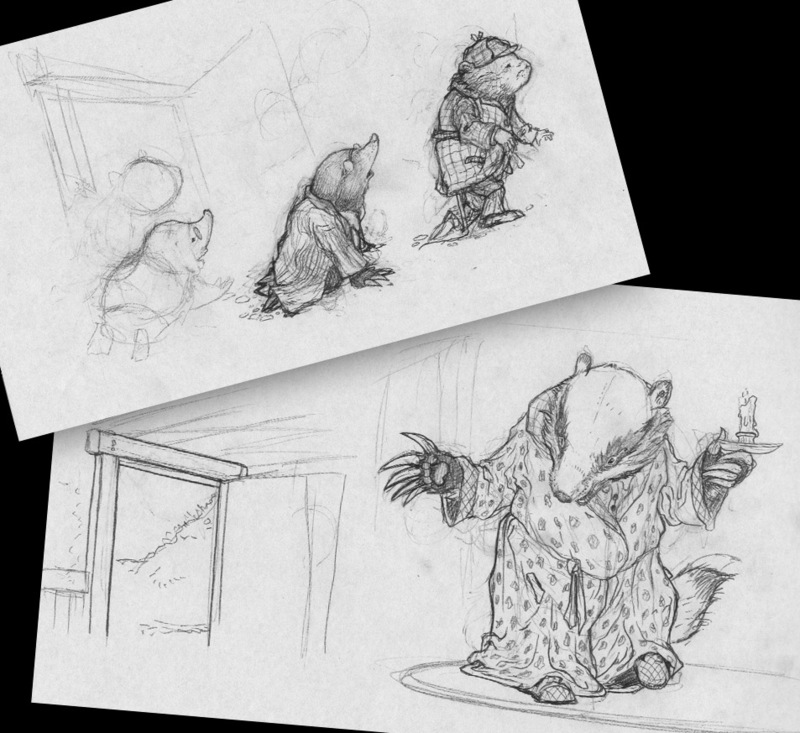 I didn't draw much of a background in my sketches, and instead of using another sheet of copy paper, I broke out my rarely used wacom tablet to draw in Badger's entry way. 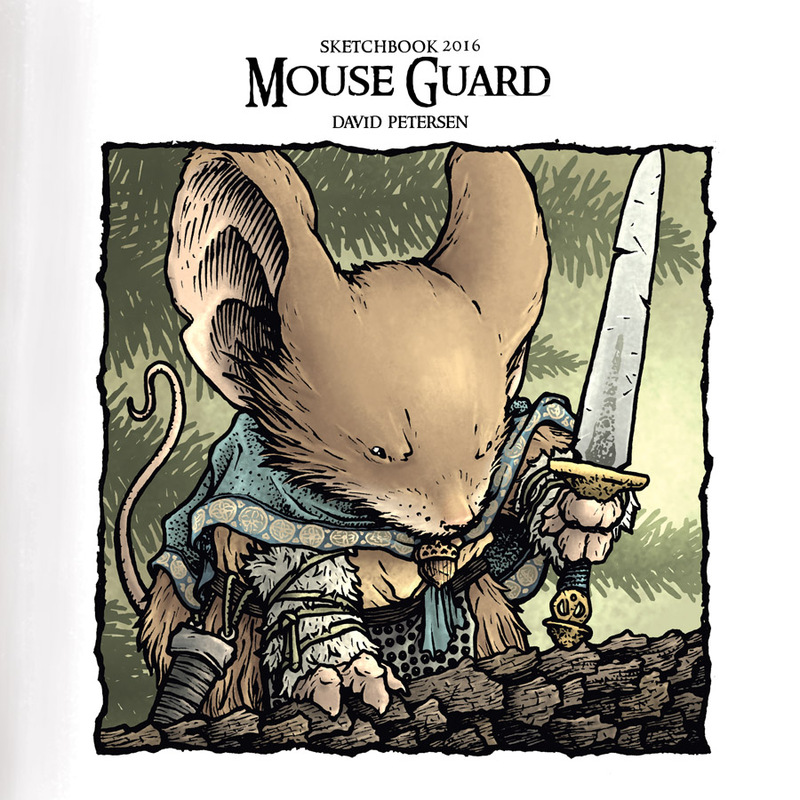 The digitally composited sketch was then printed out at-size (about 11" x 7") and then taped to the back of a sheet of 300 series Strathmore Bristol. On a light box I was able to see through the bristol's surface to the printout so I could ink on the bristol using the sketch as a guide. For pens, I used Copic Multiliners (the 0.7 & 0.3 nibs). Here I have an in-process photo I took with my phone and posted back when I was inking this piece. 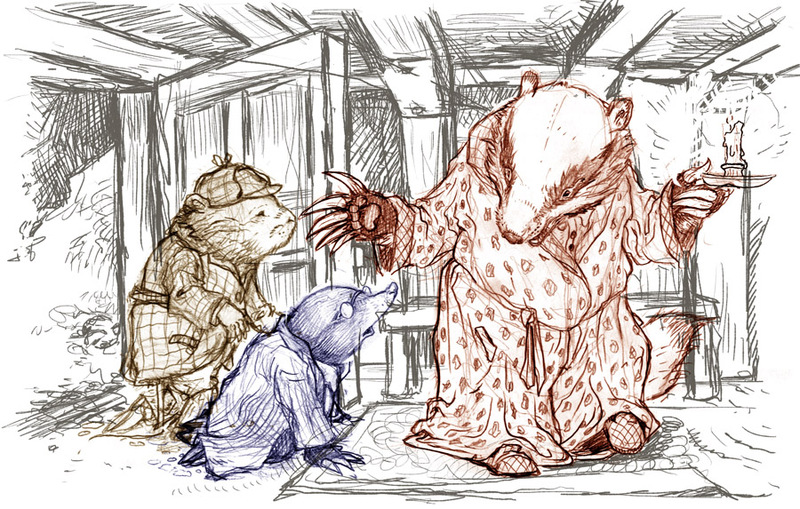 Other than the cover, this was my first illustration with Badger, so I started by inking him in first. 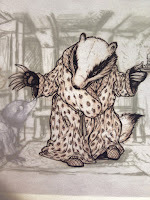 His robe is based on the way Arthur Rackham used for Badger back when he illustrated the book. I'm terrible at tracking time as I work, sometimes I think because I'd rather not know, but I think I only inked this piece for one long night. I did have to re-work some of the perspective for the beams right on the page. And I did use some white correction fluid for the snow on the left and to fade out the brightening effect from the candle on the right. 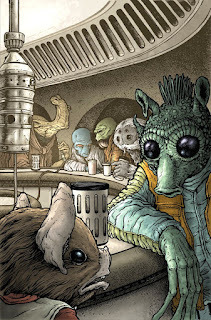 Here you can see the completed image as it will appear in the book along with 49 other B&W illustrations and 20 color.